The resort offers everything from battered and deep fried burgers to patties covered in spicy fried shrimp and brie. “Over the past few years, it seems like the culinary staff throughout the [Walt Disney World] resort has made it a mission to reinvent the humble hamburger,” says the Disney Food Blog. 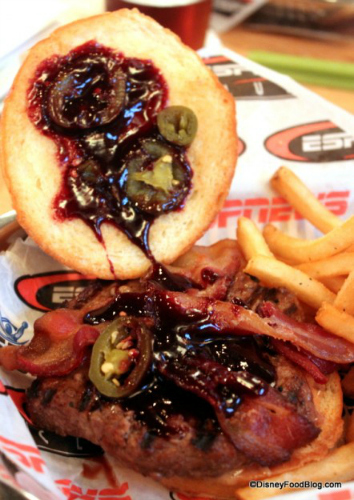 Yesterday, the blog posted a list of “The most unusual burgers at Walt Disney World.” These bizarre burger combinations were born from, well, we’re not quite sure—but some of them sound rather delicious. Maybe they were born out of boredom, menu limitations, or maybe just an abundance of peanut butter and grape jelly in the kitchen? Maybe the chefs have ridden It’s a Small World one too many times? No matter how or why they were invented, these burgers sound kind of awesome. 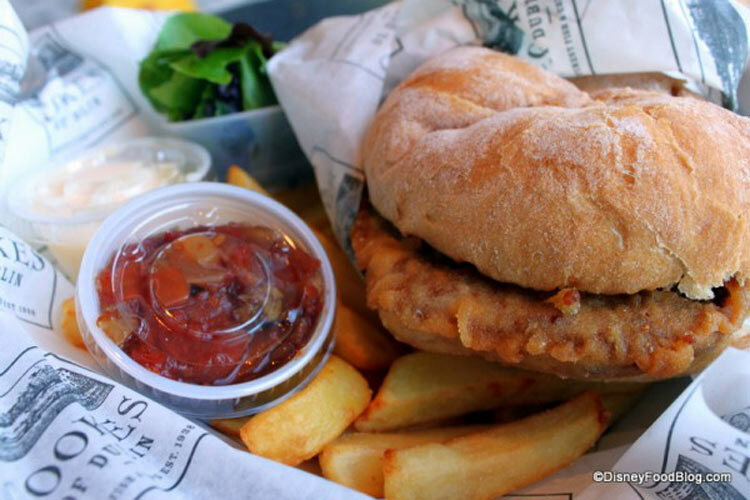 • Battered Burger (at Cookes of Dublin in Downtown Disney): This burger is dipped in batter and fried, then served with Chunky Tomato Chutney and Garlic Mayonnaise. Hey, you’ve been trekking all over the Magical Kingdom, you deserve it! 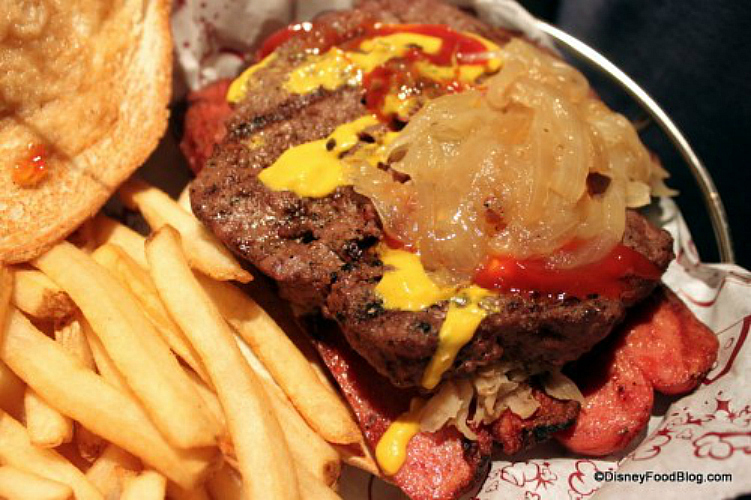 • Picnic Burger (at the Sci-Fi Dine-In Restaurant in Disney’s Hollywood Studios): Perhaps the most American burger ever made, each mouthful contains a burger patty and hot dogs between the buns. • Angus Chuck Burger (at the The Captain’s Grill in Disney’s Yacht Club Resort): This burger is heaped with crabmeat and choron sauce (a variation of Bearnaise that incorporates tomato paste). It comes with a hefty $16 price tag. 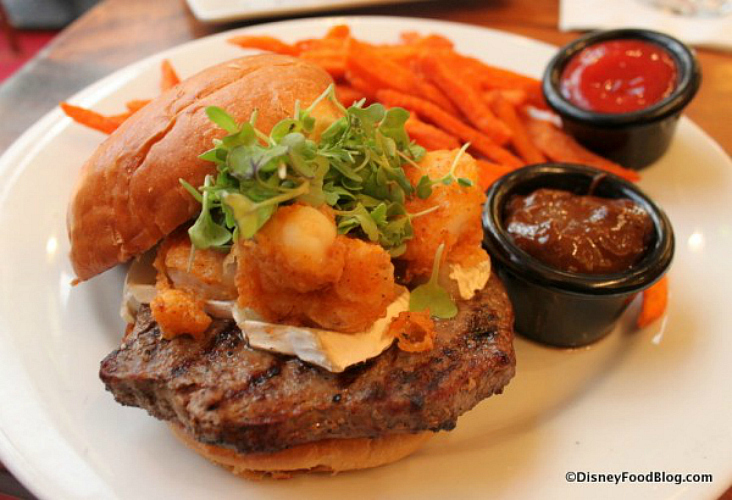 • Surf and Turf Burger (at Kona Cafe in Disney’s Polynesian Resort): A variation on the classic American entree, this burger comes topped with spicy fried shrimp and and a big slice of Brie. Note: very not Kosher.